At LyntonWeb we approach potential prospects with a desire to understand their business goals and determine if we are the best fit for them as an inbound marketing agency. It’s important to realize that any web design, marketing or integration project is a relationship. Any good relationship starts with making sure you don’t annoy the folks you could be working with for months or years. 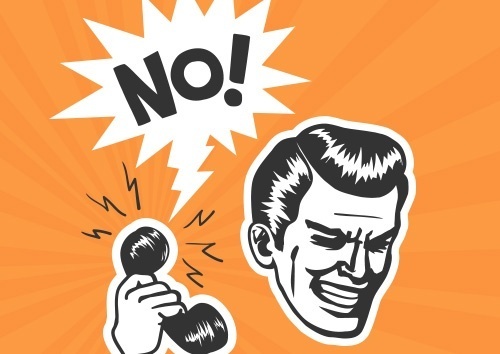 Here are some ways you can annoy your potential customers and how to avoid them. There are few things in life that are perfect - a sunset, a first kiss, a Tom Brady spiral. When it comes to your product or service you know your own strengths and weaknesses. And there’s no sense in hiding them from a prospect. Those glossed over imperfections could come back to haunt you later in the project. It’s best to lay out the pros and cons and guide a prospect to a good decision. In some cases, we may not be the best inbound agency for a client and they may not be ready to make full use of HubSpot yet. The last thing I want to do is sell our services to a prospect and then have them feel they’re not ready or they are in over their heads. Recently, after understanding a prospect’s business and then explaining our services to that prospect, we mutually agreed that an inbound agency wasn’t appropriate for them at this time. The startup owner I spoke with indicated that he needed a business advisory firm to help with a business plan, financials and even an elevator pitch resonate digitally. That’s certainly not something an agency does. We build our marketing plans from the business plan and work to make an elevator pitch. The owner and I ended our discussions amicably and I'll be sure to reach out to him in a few months to check on his progress. In this world of marketing automation we live in I feel that phones still do matter. It’s true prospects make 60% of their buying decision before talking to a sales rep. That’s OK. Having the context of what parts of a decision a prospect has made through tools like HubSpot or Sidekick is powerful. Being able to pick up a phone and have an educated conversation with that prospect based on that context is even more effective. That’s why I personally prefer a phone call to a sales qualified lead. I know what website pages they’ve visited and content they’ve downloaded and I can offer them a human to help them complete the next 40% of their buying decision. If you prefer email - be specific and identify a time for a demo or other meeting to keep the sales process moving. Here’s a pet peeve of mine. A canned demo. I can totally tell when a presenter is running through a demo on autopilot. I get it. I’m probably the seventh demo of the day and the first six all said no, they’re not interested. But seriously, it’s not hard to learn a little about a company and tailor a demo with company specific info. If I’m presenting HubSpot and a prospect is using a HubSpot trial, I’ll ask for access to their portal to see what insights their portal data can offer. Maybe they are already seeing useful referral traffic or have interesting organic search results we can discuss. Data is an easy springboard to further discussion. At some point you’ll need to tell a prospect about yourself. But you really need to learn about the prospect first. What is their business, their value proposition, their company history. If you’re doing most of the talking straight out of the gate that’s a bad sign. Ask about them. You’ll have plenty of time to share your own company’s story later. Breaks up are a part of life. I do think it’s important to agree if a mutual fit does not exist and end conversations. Don’t waste time. A true break up may not come until a prospect has to decide on a vendor. If that vendor isn’t you, then it’s valuable for you to ask for reasons you weren’t selected. The best way to do this (I think) is via phone. I find break up emails a bit cowardly. The best sales deal I lost was when the prospect ask me to call him to have a discussion on why he chose another agency over LyntonWeb. I totally appreciated his honesty and transparency. Because this was a phone conversation I was able to soilict more insightful feedback as compared to a final email. It was feedback I brought back to our internal sales team. We were able to incorporate that feedback on the next deal and win it. Break ups should serve as a trigger to improve - it's that simple. They give you an opportunity to reflect back and see what went right and what went wrong.